Now You Can Train Up Your Assistant Fast Using the Same Scripts + Snippets that My Own Team Uses to Manage My Business Email — Pass the File Along to Your Assistant and She Can Use Them to Assist Your Clients! Maybe it’s time for you to hand your email over to a pro and do something rad instead (like take a day off)! There’s absolutely no reason why you shouldn’t have an assistant manage + respond to the majority of your business email. If you’re spending 7-14 hours a week dealing with email that an assistant could easily manage – that’s 28-56 hours a month that you’re not creating programs + content or marketing your business. Imagine what you could do with all that extra time every month? If you take all of those things out of your inbox, how much will be left? How much of a load off would that be for you? Truth is – a lot of the email that lands in your inbox can easily be managed by an assistant! But because I know how much of hassle it can be to train your assistant to respond to your business emails in the right tone of voice, and in the right way – I’m giving you access to the same scripts + snippets that my own team uses to manage my email. 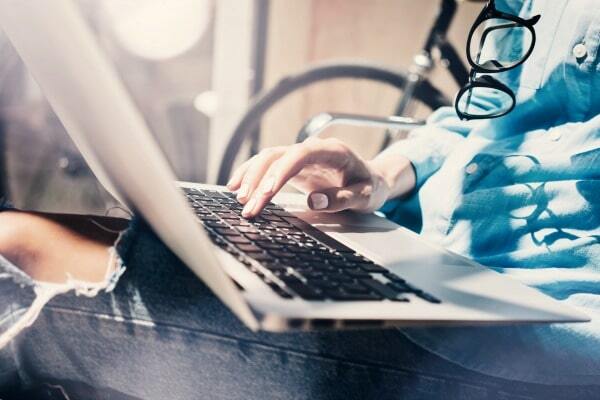 These pre-written scripts and snippets will answer the most common questions your clients, potential clients, fans and followers have, so you and your assistant will never again struggle to craft an email or add to your FAQ page. Not only that, but you can turn these over to your assistant so she knows exactly what to say (and how to say it) in any situation. Your voice and brand is preserved, you’ll save lots of valuable time, and you don’t have to worry that something could be misconstrued. Give these client care scripts to your assistant so she can use them to support your clients. Use these client care scripts yourself to save a ton of time replying to the same questions over and over again. 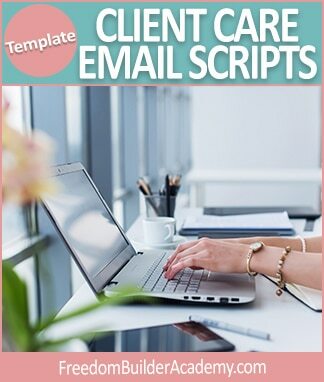 Use these client care scripts to assist your own paying clients with their business emails. Your assistant can print this off, put it in a binder, and have it on hand to work from as she manages your email. She can also use it to set up an FAQ page on your website or help desk. Download the Client Care Scripts Now for Only $10! How Do You Use these Email Scripts? These are designed to be used in your email correspondence, in your help desk, your FAQ page, or even on phone support! To use them in your email or help desk: Create “canned responses” in your email client or help desk app. Be sure to name them in such a way that you’ll easily find the right answer. Then next time someone asks how they can download your course or if you’ll promote their next event, you can simply choose your script, fill in the blanks, and hit send. Just like that, you’ve saved yourself several minutes of crafting a new email. To use them to create your FAQ page: Choose the most common questions from each category, add your own details, and publish the questions and your response on your website, in your help desk, or on your Facebook group. Just be sure to add an appropriate intro and signoff so that your visitors get all the details they need. To use them in phone conversations: If you offer phone support or reach out to your clients by phone, you’ll very likely have the same conversations repeatedly. A script is an excellent way to be sure all the important points are covered whenever you pick up the phone. Use these as a starting point. Fill in the details of your business, and keep them handy (or give them to your assistant) when making phone calls.